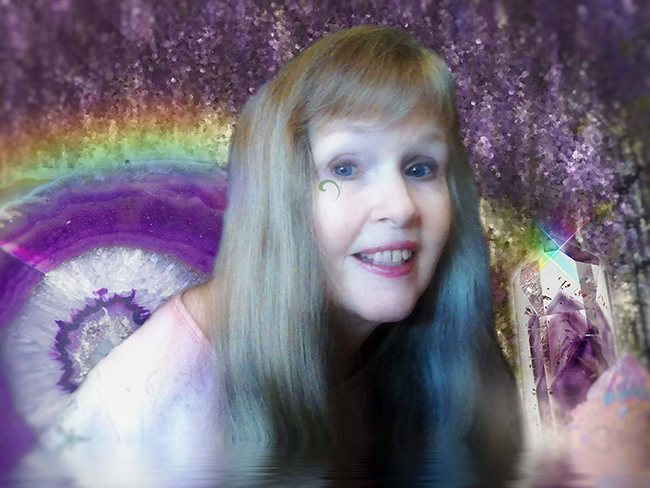 I am a minister, spiritual consultant, akashic translator (reader) and digital artist. I have been translating from the akashic consciously as a profession of Spirit since 1967. I am co-founder and now sole operative of Spirit Heart Sanctuary, a non-profit church. I work with planetary transformation and inner self-awareness, employing heart ascension principles. My internet services extend to members and participants globally. I continued with my work, and although my health began to deteriorate, my mother was unfailing in her support and encouragement. She took care of all the physical aspects of life, freeing me to receive and write. Beings of Light began to appear to both of us, sometimes when we were in the room together. More and more we moved into the understanding that we were communing with spiritual intelligences of exquisite love and wisdom. In 1977 I came to work on the inner-planes with the Illumined Master, Thoth Hermes (ThothHorRa), who has remained my primary spiritual "benefactor". My mother made her transition in 1993. In 1994 I met my husband-to-be Simeon Nartoomid, the man who is in his own right, a mystic, healer and wise soul. I have since become a digital artist and am now able to bring the visions and faces from these realms into my art. I work with people both in word and image, to aid them in self-discovery.